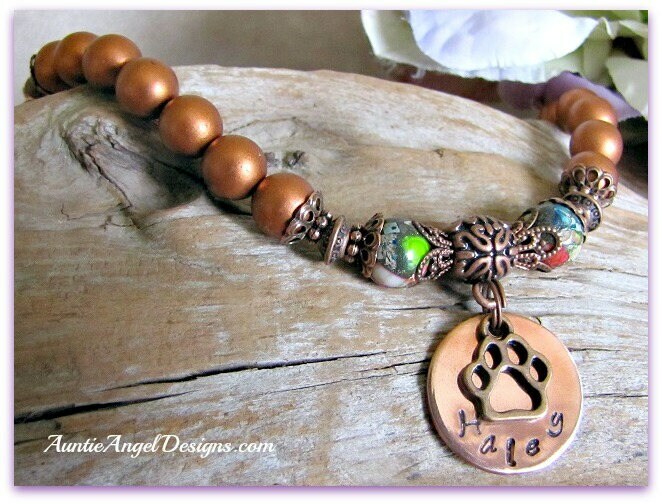 In honor of my sweet Golden Retriever named Autumn, a dog who lost her battle with canine cancer, my "Autumn Rain Personalized Paw Print Bracelet" memorializes a beloved pet who has gone off to the Rainbow Bridge. 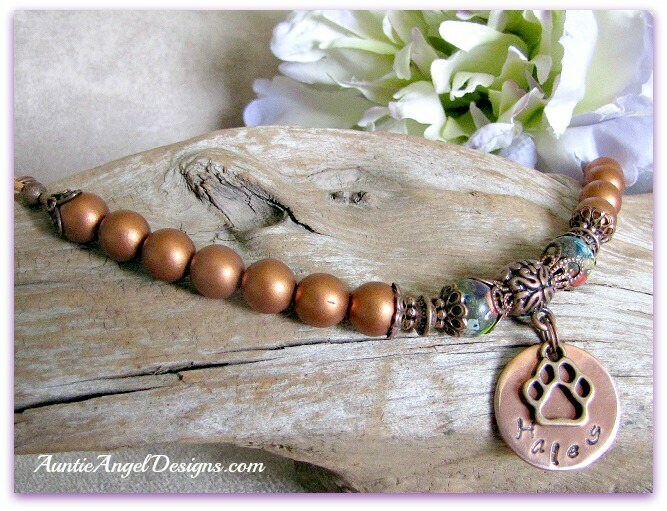 Your bracelet is strung with matte copper Czech glass beads and two impression jasper beads flanking the antiqued copper charm bail. A 3/4-Inch copper disk is hand-stamped by me with your pet's name on one side of the disk. 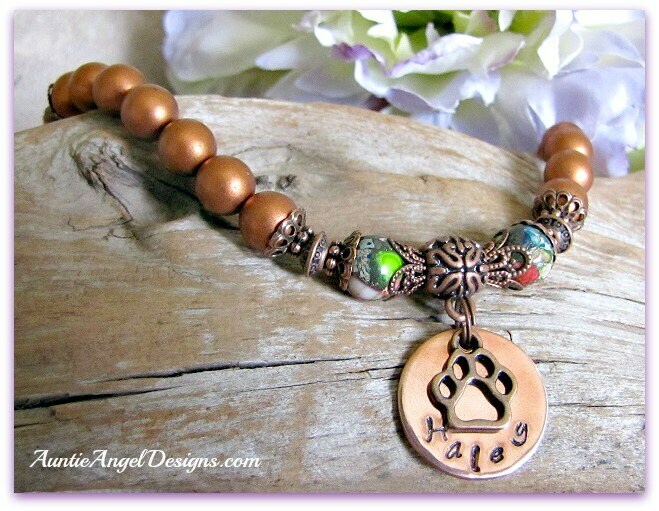 An antiqued copper paw print charm rests on top of the stamped disk. 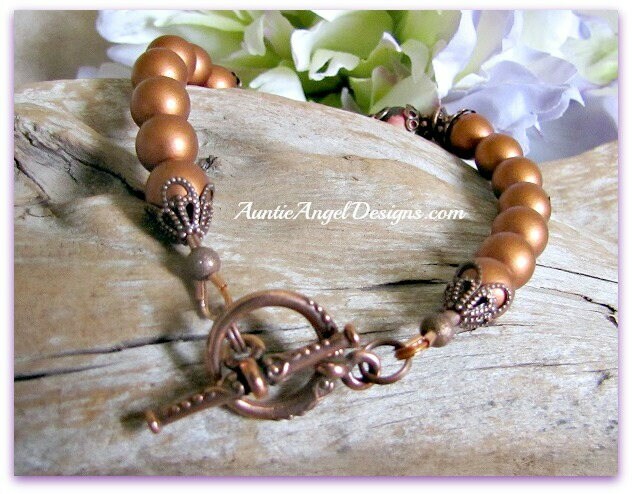 Your bracelet is finished with an heirloom-style antiqued copper toggle clasp. 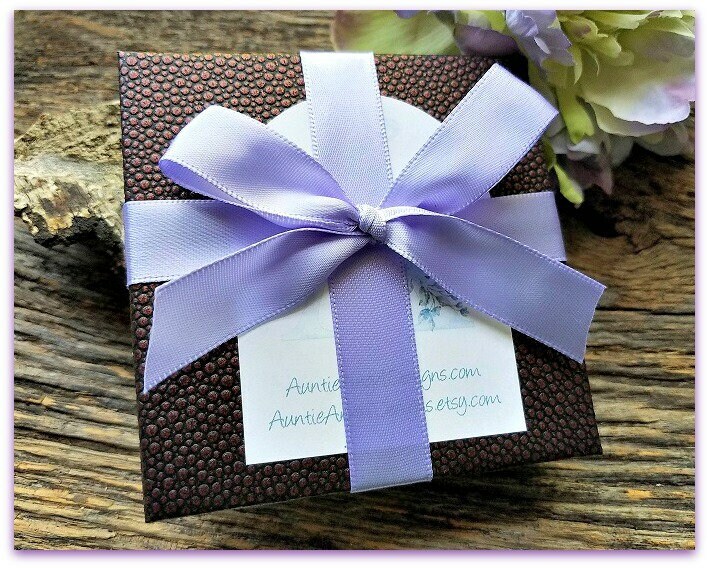 The "Autumn Rain" bracelet comes in its own gift box with ribbon and is ready for gift-giving. 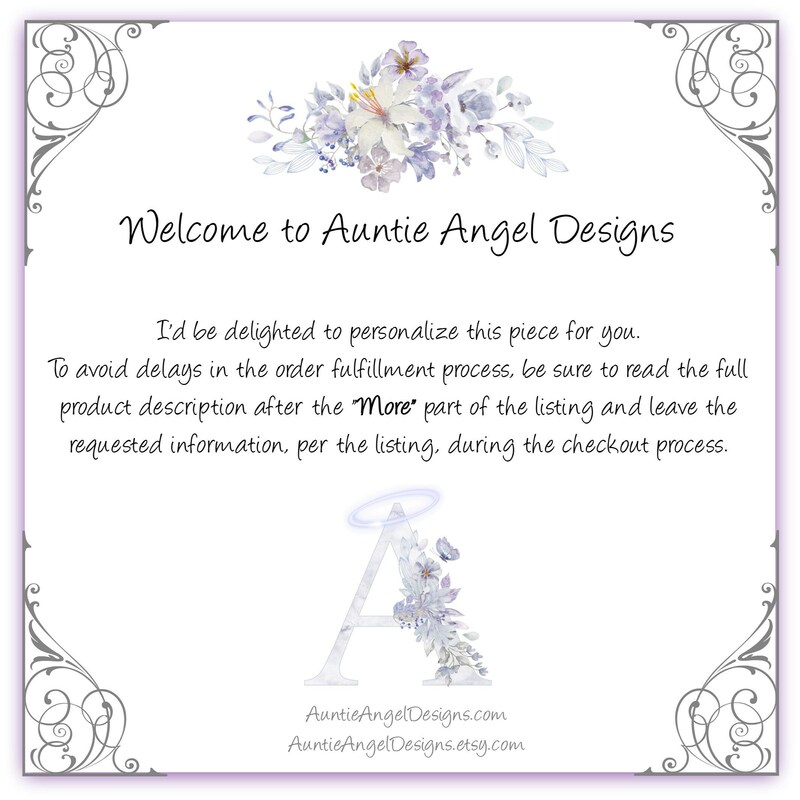 If I am sending this gift for you, please fill out the free Etsy gift card message and be sure to "sign" your name to the message. If you have any questions whatsoever, please contact me. I will also contact you if I have any questions. Please be sure to check your e-mail after your order is placed so there is no delay in fulfilling your order.